Back in July, I promised a Wanderlust recap, and I'm happy to say I have some pictures of my Wayfaring Bag design in action that weekend. 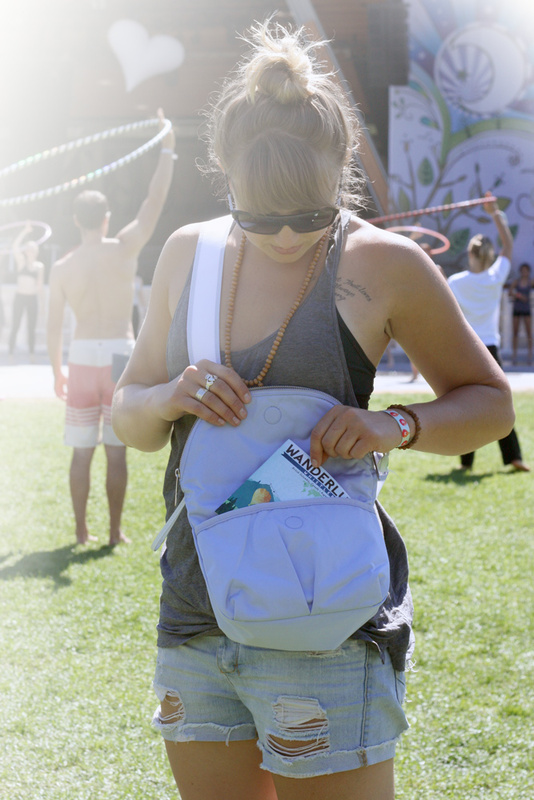 It was especially exciting to be using it while I attended this event because Wanderlust Festival was the exact scenario I had in mind when I designed this bag. I used mine the whole week I was in Whistler and, though I realize this may sound biased, I loved it. I was lugging around my yoga mat with my shoulder strap, so it was wonderful to be able to wear the bag around my waist to lighten the load. I loved the phone pocket - it's placement on the back panel of the bag meant I could feel the buzz and stay connected all weekend. It was the perfect size, and the interior pockets were perfect for stashing sunscreen, lip gloss, sunglasses and snacks. The best part? When I went through security at the Saturday night concert, the guard complimented my bag! Here are some pics of my friend Jess rockin' the lilac bag. Wanderlust ready. Just add shades and malas. 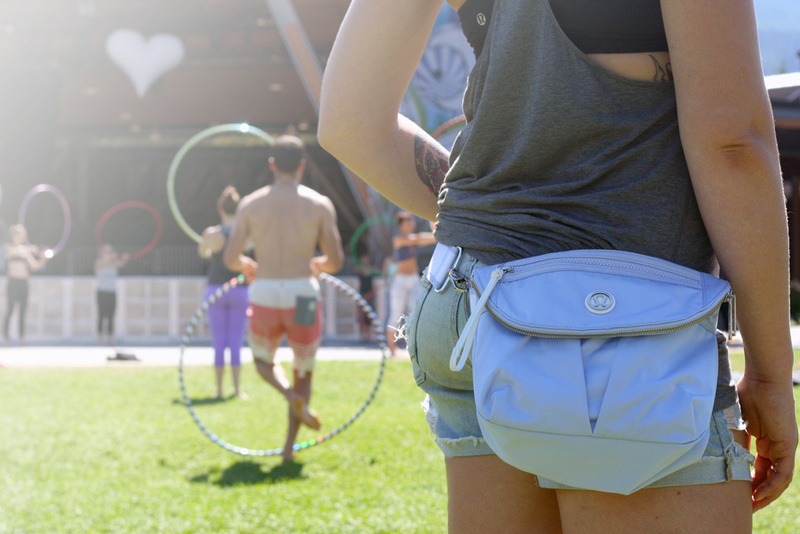 Wear it around your waist when you don't want anything heavy weighing you down.